JTJB Senior Partner Danny Chua was a panelist at the SCMA Conference 2017 – Making Maritime Arbitration Work for You, which was held on 15 March 2017 at Maxwell Chambers. Sir Bernard Rix was the Guest of Honour, who delivered the keynote address on “Modern Maritime Law, Modern Maritime Arbitration”.Titled “Challenges and Solutions for Arbitration and its Practitioners – Practical solutions for streamlining costs and how maritime arbitration can be done more efficiently”, the panel also comprised Ms. Elizabeth Blackburn QC of St Philips Stone, Mr. Prem Gurbani of Gurbani & Co LLC and Mr. Philip Yang, independent arbitrator. With Mr. Peter McQueen as the Chairperson, participants of the SCMA Conference 2017 benefitted from a lively discussion on various issues, including arbitration procedure, new practices, cost effectiveness and third-party funding. 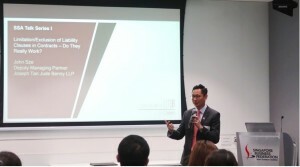 On the 6th April 2017, JTJB Deputy Managing Partner, John Sze, gave a talk on indemnity an d exclusion clauses, at the inaugural SSA Talk Series. The SSA Talk Series is a new initiative by SSA designed to provide relevant updates and guidance for members of the maritime community and featured a joint collaboration between SSA, JTJB and BDO LLP. The event was well attended by SSA members, and featured lively discussion and active networking amongst industry members. JTJB LLP was amongst one of the 5 law firms from South East Asia, invited by Shandong Qingdao Law Firm to speak in Jiaozhou, a satellite city in Qingdao, China on “Belt and Road Legal Risk Prevention in Asean” to the business community. 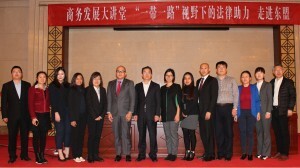 This Foru m, attended by more than 200 business representatives, was initiated by the Jiaozhou Government, Bureau of Commerce as part of the One Belt One Road Initiative. The Jiaozhou Bureau of Commerce has been strongly encouraging its business community to invest out of China into the South-East Asia region. Florence Goh, JTJB Head of Corporate gave a presentation on the investment landscape in Singapore, legal requirements and various incentives offered for the Chinese business community to consider setting up businesses in Singapore. Ahead of Sea Asia 2017, JTJB Managing Partner, Murali Pany was amongst f our industry leaders who were invited to speak at a Media Roundtable Discussion. The discussion was on future proofing the maritime industry and topics such as the importance of investing in smart solutions and risk management were discussed. 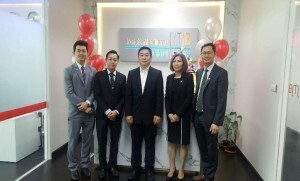 On 24 February 2017, JTJB Bang kok held the Opening Ceremony for their new premises located at, 89 AIA Capital Center, 20th Floor, Room 2003 Ratchaphisek Road, Dindang, Bangkok. The grand opening was graced by Mr Wirat Tatsaringkansakul (Director of BUILD), Mabel Tan, Senior Partner at JTJB Singapore, John Sze, Deputy Managing Partner of JTJB Singapore, as well as valued clients of JTJB Bangkok. 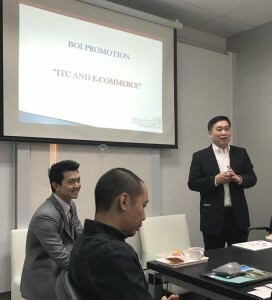 On 24 February 2017, JTJB Bangkok hosted the ‘JTJB Panel Discussion & Networking Event 2017’ to exchange views on International Trading Center (ITC) and e-Commerce Business policies and criteria pertaining to the Board of Investment (BOI) of Thailand Promotion. The panel comprised Mr. Bunnasomboon Chaiparinya (Aaron), JTJB Bangkok Partner, and our guest of honour, Mr Wirat Tatsaringkansakul, Director of the BOI Unit for Industrial Linkage Development (BUILD). Both provided key insights pertaining to the application and benefits of BOI promotion. 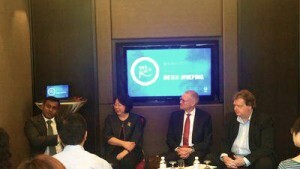 Mabel Tan, JTJB Singapore Senior Partner and John Sze, Deputy Managing Partner for JTJB Singapore also provided valuable legal advice on investment regulations in Singapore.